How can you optimize your hormones based on what you eat? How can you optimize your hormones based on your exercise? How can you optimize your hormones based on sleep patterns? How can you optimize your hormones based on meditation? What do you see as the single most important variable in healthy aging, if someone can only do one thing to improve their healthy aging? Dr. Daniel Kalish believes that physical health is our platform for emotional and spiritual growth – and that we each have the ability to fully heal ourselves. He is dedicated to teaching both doctors and patients Functional Medicine philosophy and practices. Dr. Kalish and his team conduct Functional Medicine training programs and work directly with patients to uncover the root causes of disease. 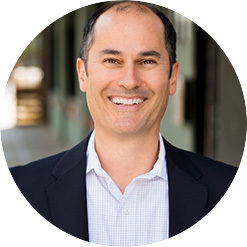 Dr. Kalish has an active private practice, having developed his own model of Functional Medicine founded on 25 years of successful clinical results. Dr. Kalish received his B.A. in physiology and psychology from Antioch College and completed his chiropractic degree in California. He also studied at the University of London and conducted research with biochemist Dr. Robin Monroe at Cambridge University. Dr. Kalish participated in the first One Mind For Research Conference where 200 of the nation’s top neuroscientists gathered to promote research on brain disorders. Dr.Kalish is a beautiful soul with incredible wisdom. I trust him! Click here for your free giveaway.